Spring is so delightful because it's a time to embrace change and new beginnings. That's what makes fashion at this time of year so much fun. This season, flowers are not only in full bloom in nature, but in fashion too. 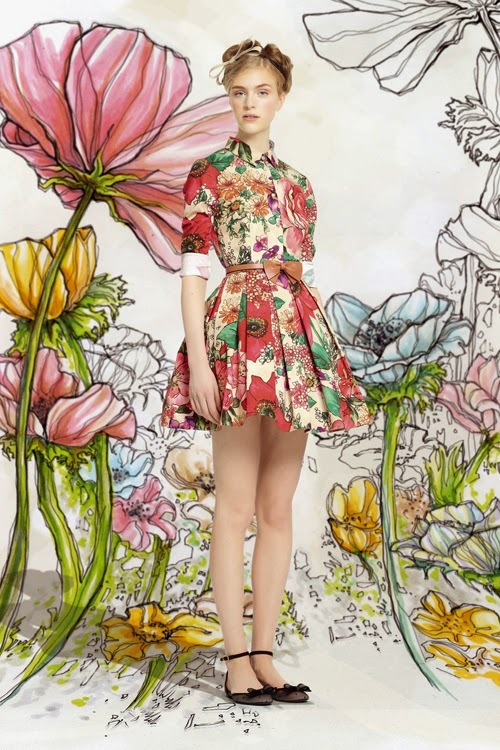 Floral patterns always make an appearance in designer collections with the arrival of spring. This season the tradition takes on a new modern take by way of saturated color, texture and unexpected combinations. Vibrant color palettes of pink, yellow and orange make bold statements especially with dresses using modern cuts, necklines and cinched waists. By contrast, dark florals in black and navy give the woman with edge an opportunity to be feminine without sacrificing her taste for deeper more masculine hues. Michael Kors had a very ladylike collection of dresses, skirts and matching tops in patterns that ranged from tiny delicate flowers to large petals. Collections like Red Valentino and Josef Ribkoff incorporated big flowers in bright colors like fuchsia, bright blue and yellow. Floral printed pants, blazers and shirts are also a way to mix the pattern into your wardrobe without going overboard. Wear the pant with a simple top and solid jacket. Or choose a floral, tailored blazer to wear with a pencil skirt to the office. That way you can capture the feeling of spring without being to extravagant in a conservative office environment. 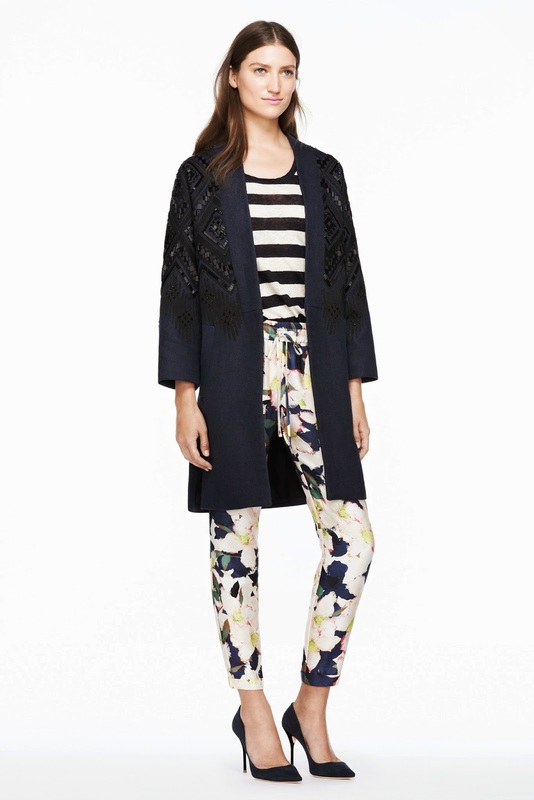 J.Crew Spring 2014 floral pant.